Due to a little linky glitch on Monday, we have kept sketch challenge #307 open for another week. The glitch has also carried over to me apparently as I forgot to post this last night! That’s what being on holidays does to you. I’ve totally lost track of days! To remind you of our sketch, I’ve posted it again for you and I’ve also added my card for the challenge too. If you’d like to see my original post and the products I’ve used – click here. 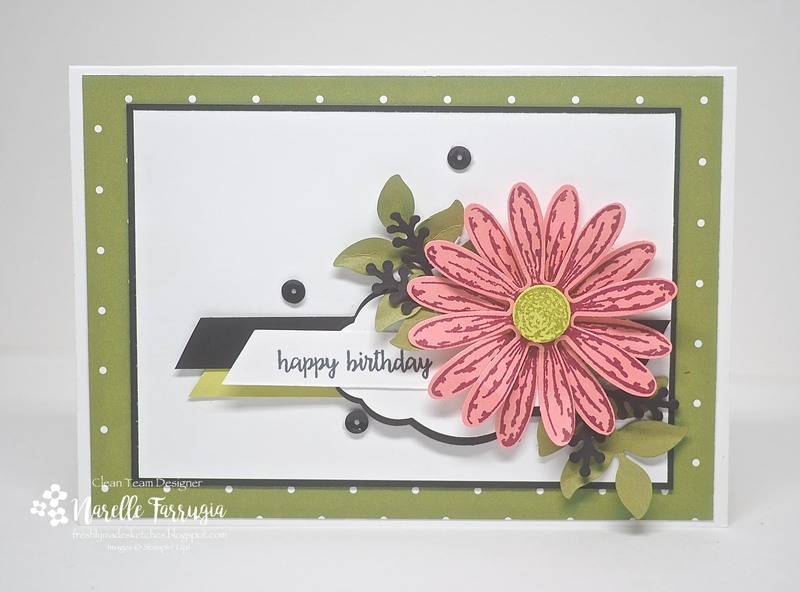 If you haven’t already linked up a card, we would love to you! 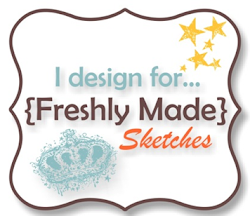 Head over to Freshly Made Sketches and link it up here. So simple yet very elegant! Thank you for sharing! Hope you are enjoying the time off! Love this as much the second time around! Fun colors! !